PAWS Of CNY’s certified therapy dogs provide two types of pet therapy at several Central New York area hospitals and mental health care facilities. 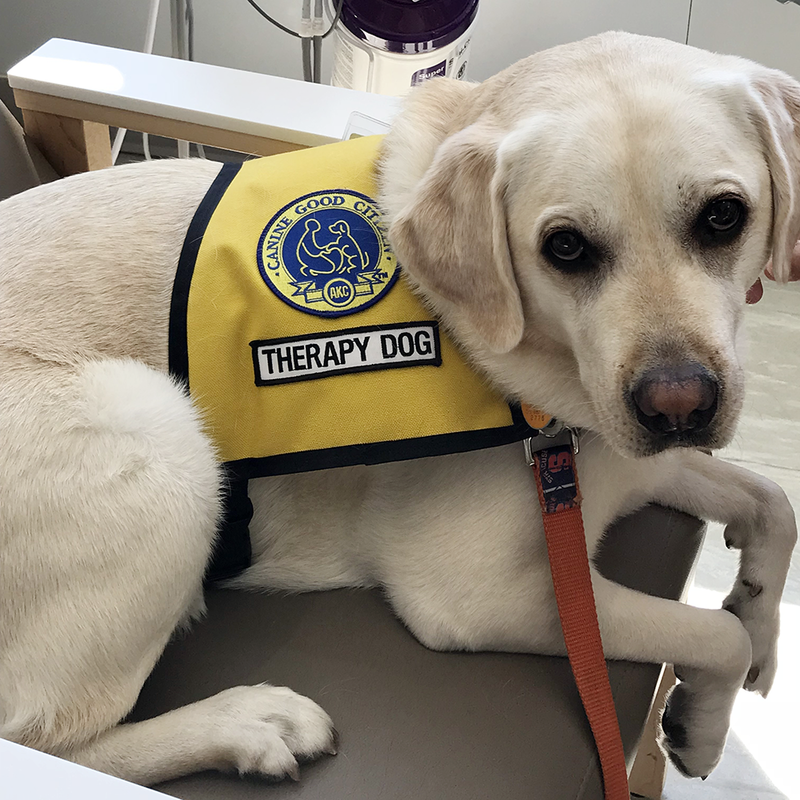 Animal Assisted Therapy uses specially trained and temperament-tested animals in cooperation with a health care professional to assist in the healing or rehabilitation of the body, mind or spirit of an individual. 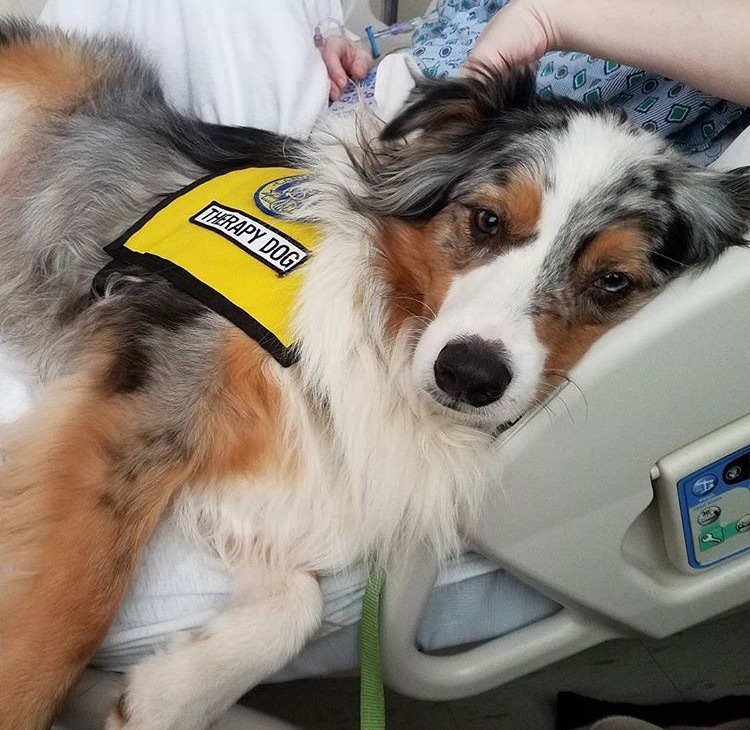 The individual may be unable to successfully function within his own environment or may be better motivated to participate in his treatment when animals are introduced as part of the treatment regime. 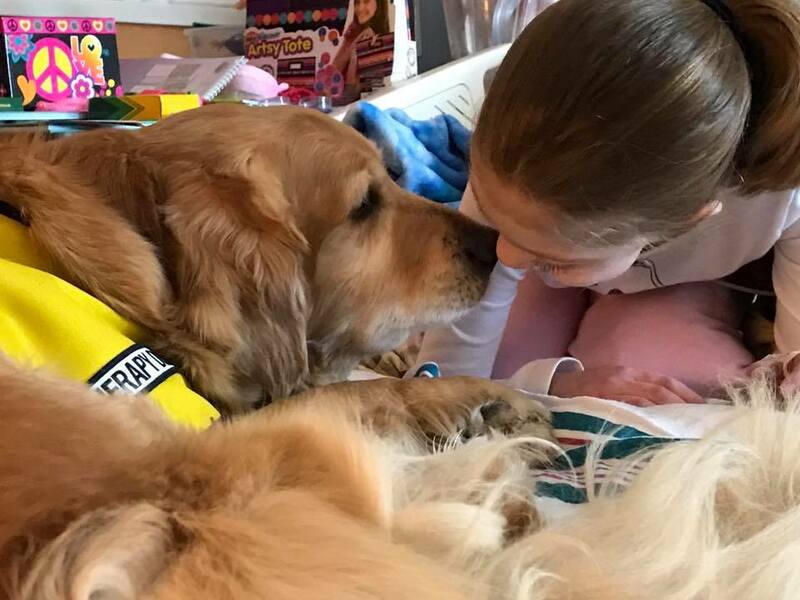 Animal Assisted Therapy is goal-directed with a specific expected outcome and is a documented source of medical and/or emotional treatment that can be utilized in a variety of settings. 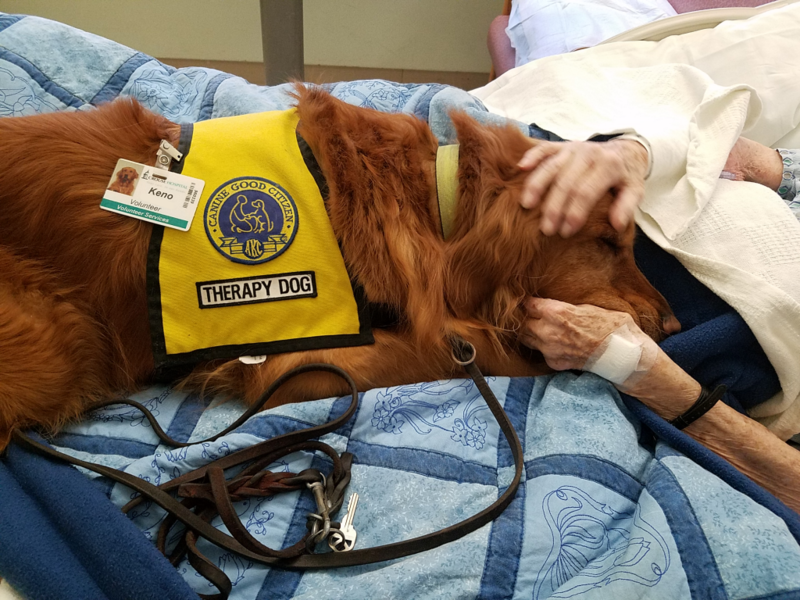 PAWS of CNY Inc.’s therapy volunteers visit patients at hospitals and psychiatric and rehabilitation centers across Central New York. 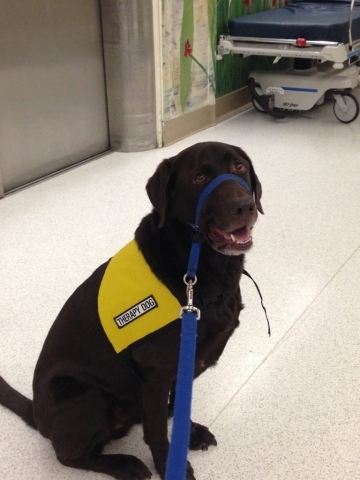 Animal Assisted Activities focuses on the use of specially trained and temperament-tested animals as part of a social activity program, purely for the pleasure of those receiving the visits. Animal Assisted Activities are provided to individuals that have a desire to experience the unconditional love of a well-trained animal that loves to visit with people, and be petted, talked to and pampered without reserve. 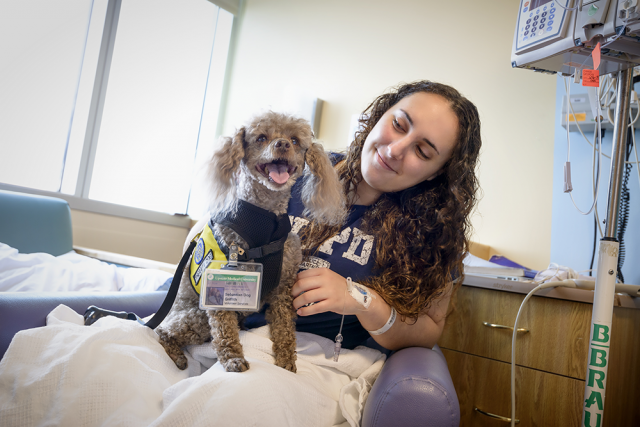 PAWS of CNY Inc.’s volunteers interact with residents at skilled nursing facilities, adult day care centers, rehabilitation centers and independent living/retirement communities. 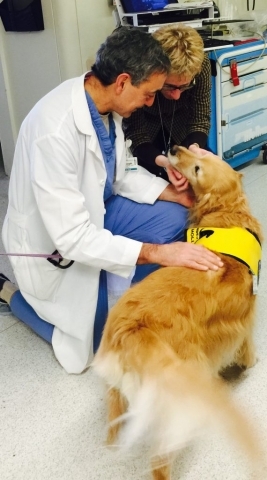 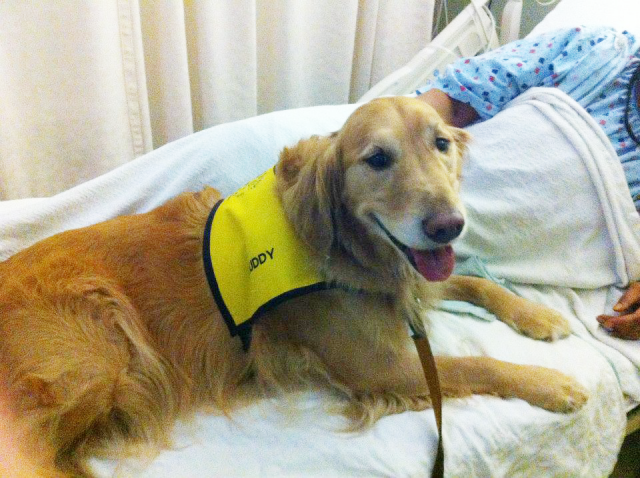 Click below to see photos of our hospital therapy dogs in action.